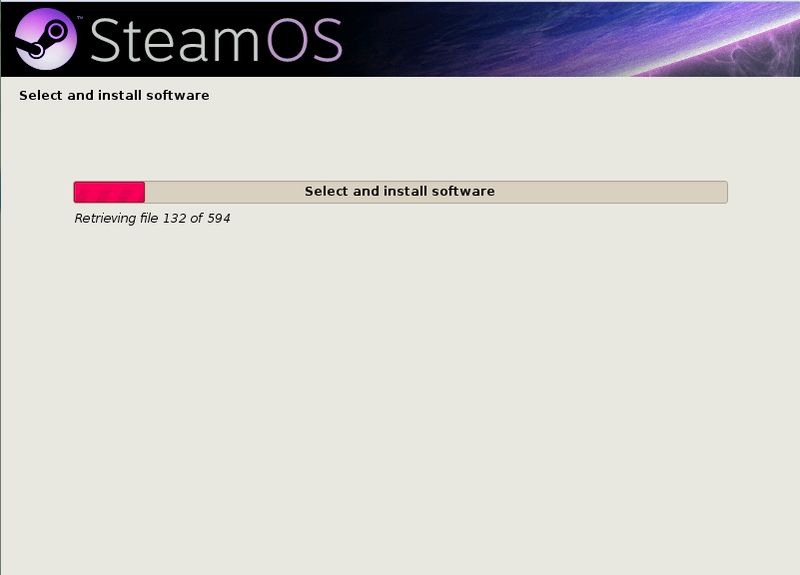 SteamOS is a Debian based operating system, developed by Valve Corporation specifically for gaming purposes. It lets users play steam games, it comes with limited number of features only. As the primary goal of the operating system is to facilitate gamers, so it hardly has any other application pre-isntalled. However, you can use Debain based package manager to install additional packages. 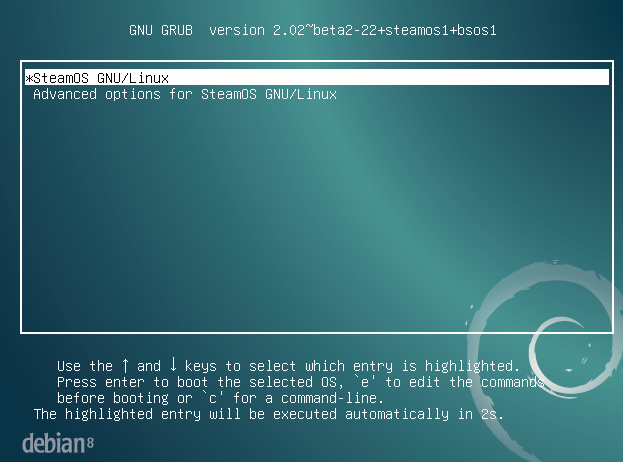 SteamOS Brewmaster 2.30 is currently out for download and testing. It is beta release so it might have unknown bugs that’s why it is not yet recommended for production system. It is powered by Linux kernel 3.18 and offers a new auto-repair service. Let’s see how we can install this new version. First of all download the latest version of this operating system from following URL. Once download process is complete, burn it to DVD/USB and boot your system using this media, here is the very first screen you should see: ” Automatic Install” and ” Expert Install” are two available installation methods, only difference between them is that Automatic Install will erase the contents of your current disk and install fresh Steam OS on it. If you choose “Expert Install” option, then you will need to perform disk partitioning manually. For most of the users, automatic installation method should work just fine. Its fast and pretty easy. Simply Choose “Automatic Install” from here. 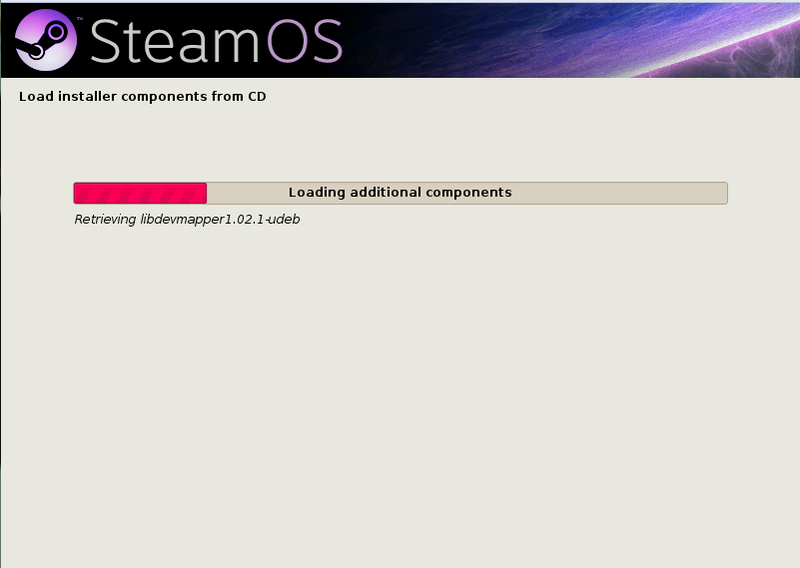 There you go, installation is in progress now, as first step, it will load installer components. On the second step it will install base system. On the third step it will install required software packages using APT package manager. It’s the only installation step involving your interaction, specify where you want boot loader to be installed. 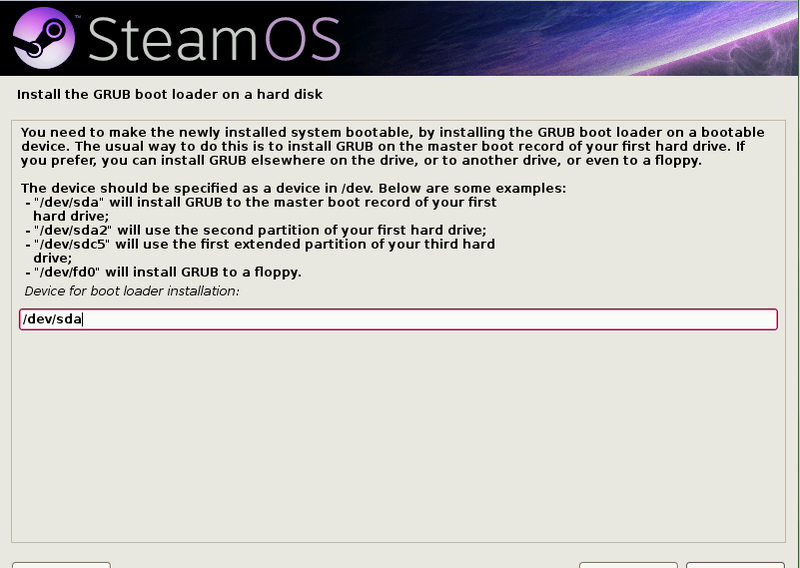 That’s it, installation is over now, simply reboot your system and here is the Steam OS Grub screen. It will shortly take you to the desktop of your new installation. This is how your SteamOS Brewmaster 2.30 looks like; neat and clean. Steam, being a gaming focused OS, requires healthy amount of system resources to run. It requires minimum Intel or AMD 64-bit capable processor, 4GB of memory and 500 GB hard disk space. Steam OS is pretty much in news these days due to its popularity among Linux games lovers.